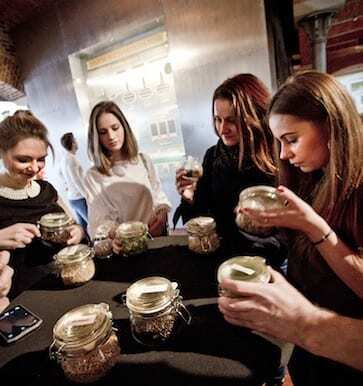 Tyskie Browary Książęce in Tychy, Lech Browary Wielkopolski in Poznan and the Dojlidy Brewery in Bialystok are all places where tradition and experience intertwine with modern technologies. 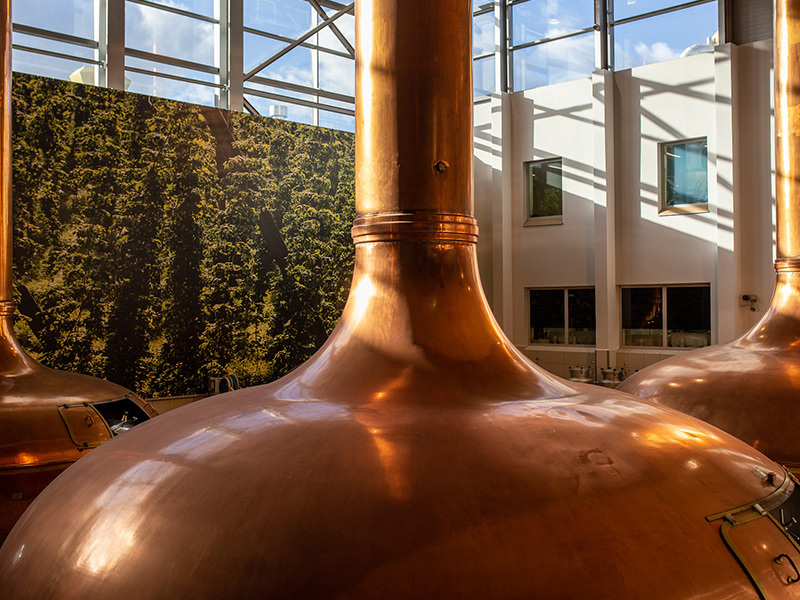 Proven recipes, natural ingredients, pristinely clean breweries and, above all, unparalleled skills of our experienced brewers – all that with the intention to brew the best beer. Information arising out of the Act – Environmental Protection Law. The brewery in Tychy has been an important part of the history of Silesia for nearly 400 years. It is an architectural gem of the region and, at the same time, a truly modern production plant. This is the very heart of Tyskie. 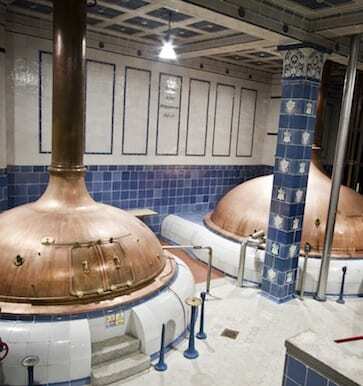 Beer has been brewed here without a break since 1629, making it one of the oldest breweries in Poland. Founded on the initiative of the Promnitz family, Tyskie Browary Książęce flourished at the turn of the 20th century, when owned by a visionary duke, John Henry XI Hochberg. 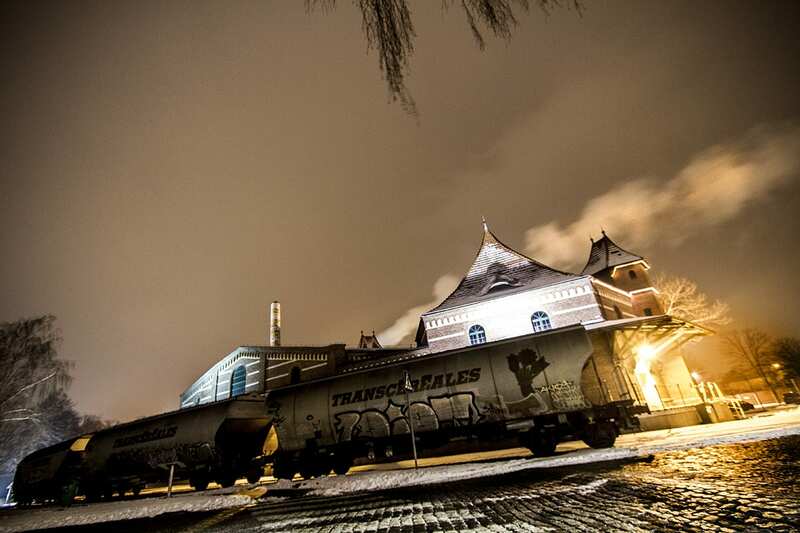 The brewery has always had a significant influence on the local community – it provided work for many residents of Tychy and the surrounding region, and in 1893 inspired the launch of a railway line between the brewery and the station in Tychy. In 1950, a brewing school was opened nearby. Nowadays, the brewery covers both sides of Mikołowska Street in Tychy. The historical part of the complex is under the care of the monuments conservator, and there is a state-of-the-art packaging facility and a distribution centre right next door. From December 2004, every beer lover can visit the facility to see the production process with their own eyes and talk to our brewers, who are really passionate about their job and gladly share their experience. Each brewery tour begins in the museum housing a collection of unique bottles, cooper’s tools, documents, photographs, mugs, crown caps and kegs. The next stage is exploration of the brewery. 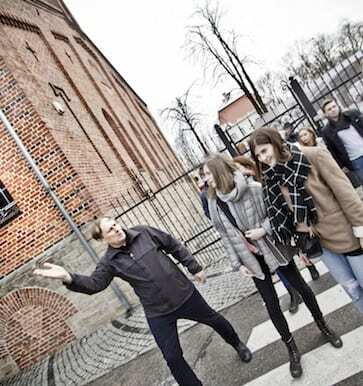 It is a very special and the most interesting part of the tour. The whole experience ends in our pub, where visitors can enjoy a mug of delicious, freshly brewed, unpasteurized 14-Day Tyskie Gronie. More info at: www.zwiedzbrowar.pl. Nomination of the first brewer, Stanisław Staśko from Zbytnela. The document obligated the brewer to diligently supervise all stages of the brewing process and specified his remuneration in cash and nature. The beginning of the great expansion of the brewery in Tychy, which owes its greatness to a visionary entrepreneur John Henry XI Hochberg, the Duke of Pszczyna. His impressive fortune encompassed 100 million marks in gold, estates with the surface area of almost 60 thousand hectares, and numerous industrial plants. His title gave name to the brewery. 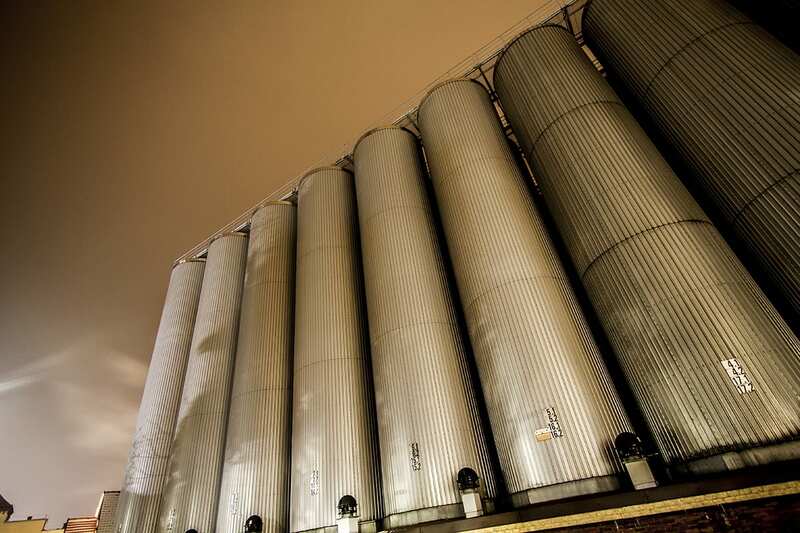 The new complex comprises a brewhouse, a cold store, a malt house with an attic to store barley, two grain expansion facilities with an attic to store malt, a malt mill, as well as drying and ice storing facilities. It is also equipped with a 16 HP steam machine. John Henry XI Hochberg first hired a brewmaster Julius Müller, and then the first director of the brewery. He implemented an innovative brewing method with the use of bottom-fermenting yeasts. Thanks to the new technology, production of beer started growing rapidly, forcing further expansion and modernization of the brewery. 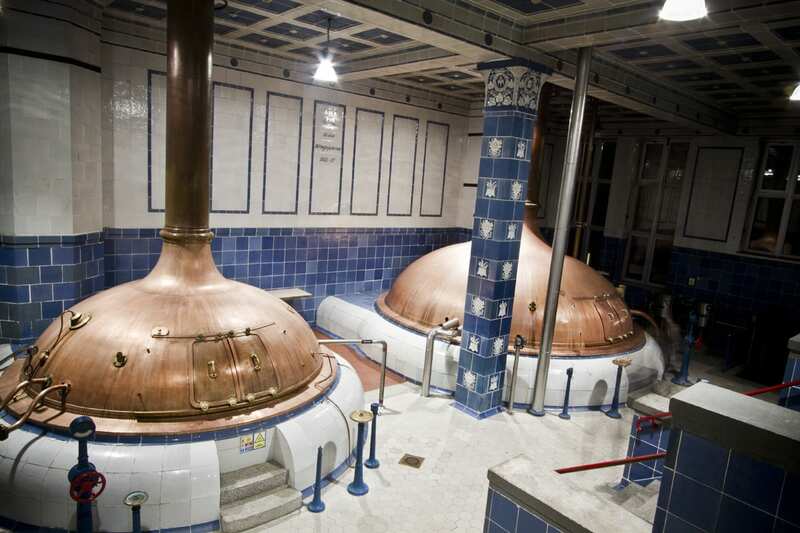 Beer production reaches 100 thousand hl (10 million litres), which places the brewery among the biggest in Europe. The same year, a new, competing brewery referred to as Obywatelski is opened. The duke funded construction of an evangelical chapel next to the brewery, which currently serves as the Museum of Tyskie Browary Książęce. The construction of the fourth brewhouse started, which was completed only after the war in 1922. It operates to this day and remains one of the nicest parts of Tyskie Browary Książęce. The tiles covering its walls come from the grand-ducal manufacture in Karslruhe, while the modern equipment was delivered by the Weigelwerk company from Nysa and the Katowice branch of Siemiens. The beer from Tyskie Browary Książęce won a gold medal at an exhibition in Warsaw, where the brewery had its own pavilion. At that time, drinking establishments started using beer coasters. On August 31, the brewery celebrated its 300th anniversary. The main festivities for the employees and residents took place in the brewery park, with stands serving free beer and a commemorative mug waiting for every single guest. At that time, 10% of beer production in Poland came from Tyskie Browary Książęce. As a result of significant tax debt, the Brewery was subordinated to the State Treasure's judge-commissioner, and then, during World War II, ended up under compulsory administration of the Third Reich and produced beer for the German army, so-called Wehrmachtsbier. On February 1, a joined stock company called “Książęce Browary” is established, comprising three breweries: Książęcy, Obywatelski and the brewery in Siemianowice. The founders are John Henry XV Furst von Pless Reichsgraf von Hochberg Freiherr zu Furstenstein, count Alexander Hochberg of Pszczyna and bank director Stanisław Wojtyła. The role of the company director is entrusted to major Mieczysław Paluch, organiser of the Wielkopolska uprising and distinguished leader of the second Silesian uprising. The share capital amounts to PLN 10 million. The breweries are taken over by the employees. After securing the assets, cleaning up the area and making necessary repairs, March 6 marks the official opening. Due to lack of raw materials, the production volume during the first year amounts to only 78 thousand hl. In 1951, the production capacity increased to 480.3 thousand hl. Between 1950 and 1955, the brewery witnessed numerous modernization investments. The oak tanks in the fermentation cellar were replaced with aluminium and concrete ones, while the whole cooling system was completely renovated. For the first time ever, the brewery reaches 1 million hectolitres of brewed beer. 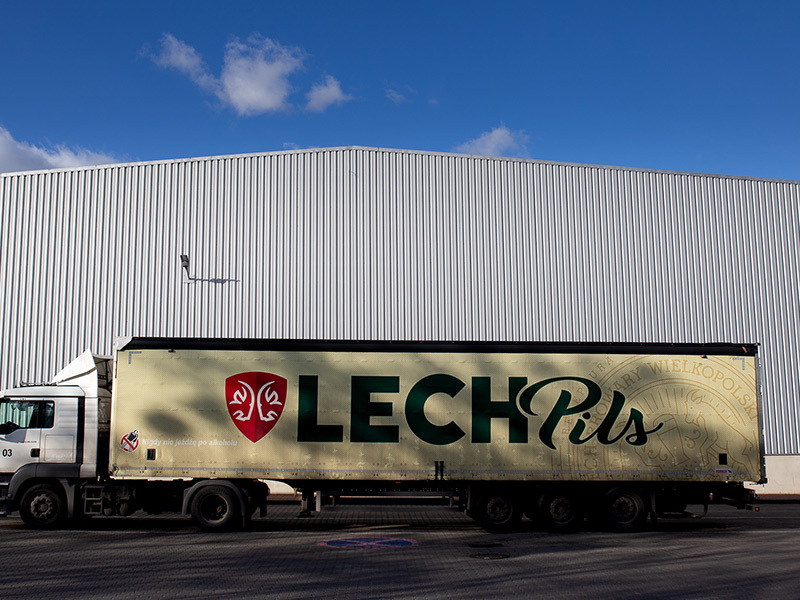 A decision is made to merge the brewery in Tychy with Górnośląskie Zakłady Piwowarskie seated in Zabrze. The Tyskie breweries’ share in the new company is quite significant, as its sales value amounts to 64%. However, five years of dependence result in a decrease in production of the plant in Tychy and consequently many professionals quit their job. 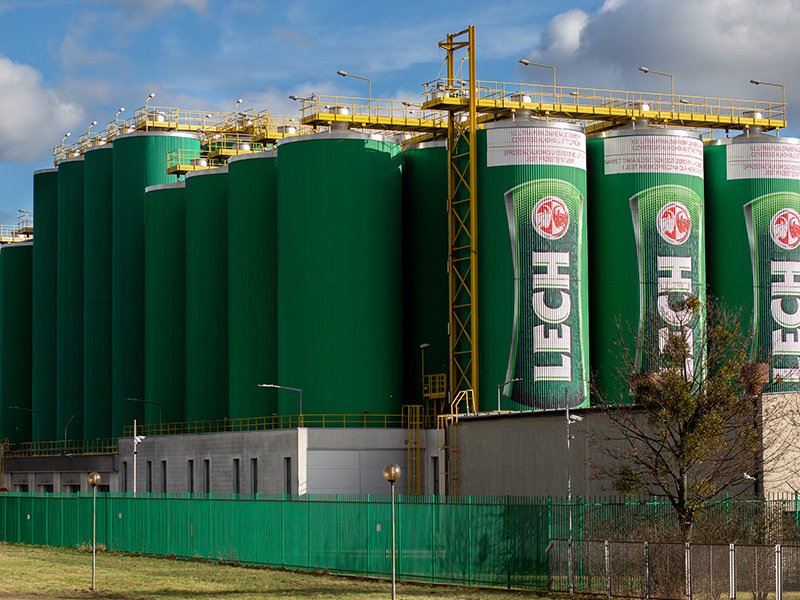 On January 1, the breweries in Tychy become independent and instantly commence upgrading works. The brewery witnesses a number of investments aimed at the improvement of beer quality and increasing production capacity. During that time, the malt house was renovated, a new Czech brewhouse with production capacity of six batches a day and whirlpool tanks improving the fermentation process were installed, beer stabilisation facility was prepared, a bottling line with the capacity of 24 thousand bottles an hour was bought, and finally a keg filling device was launched. 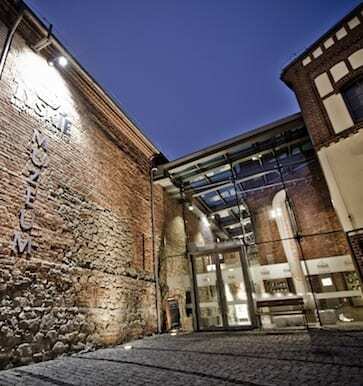 End of November marks the opening of the Museum of Tyskie Browary Książęce – at that time operating under the name Tyskie Muzeum Piwowarstwa. The first visitors arrive on December 1. 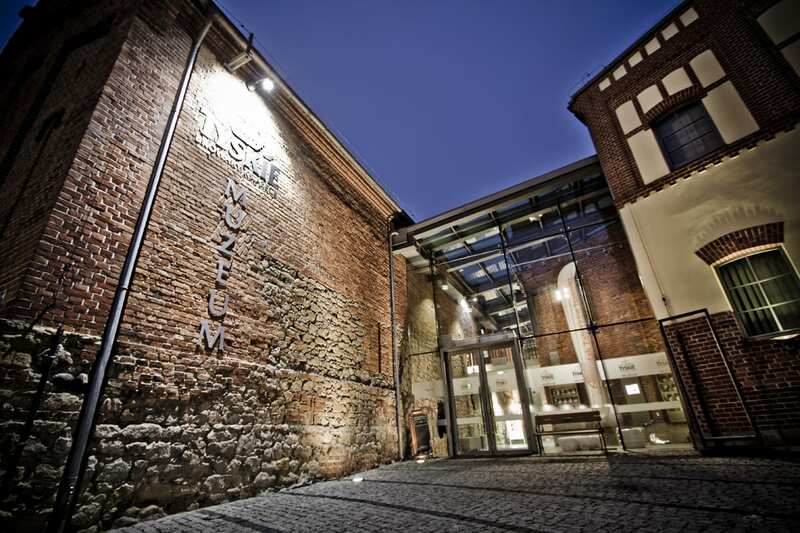 It is the first touristic venue to introduce tours conducted in the Silesian dialect. The guides present the history of the brewery also in English, German, French, Italian, Russian and Czech. The history of the brewery dates back to 1895 when the Hugger brothers founded their brewery at the corner of Półwiejska Street in Poznan, which almost 100 years later was moved to Szwajcarska Street – where we keep brewing beer to this day. The new brewery at Szwajcarska Street was officially launched on May 16, 1980, one day after the first historic brew was mashed there, and the first batches of beer were bottled on June 23, 1980. At that time, the brewery’s offer included light and dark beers, malt beverage called Czarna Perła, and Poznań Beer intended for international markets (mainly Sweden). The facility constituted the vanguard of brewing technology in Poland and served as a vocational training centre for the employees of other plants. During the first decade of its existence, the brewery in Poznan received a number of distinctions at Polish national beer competitions. 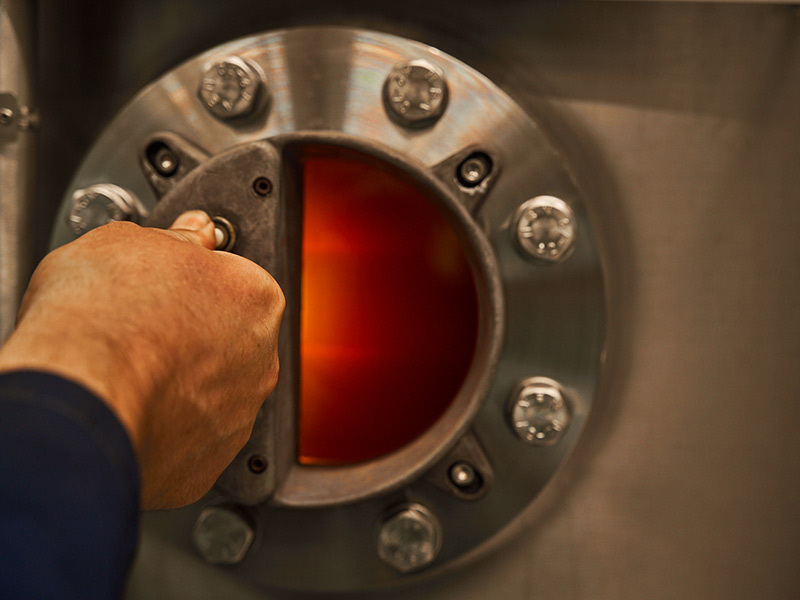 Nowadays, it is considered one of the biggest and most technologically advanced breweries in Europe. After 7 years of construction works, a brewery is built in Kobylepole (east side of Poznan). Owned by squire Joseph Mycielski, it is one of the most technologically advanced breweries in the country. Its symbol, and later on the trademark, was the coat of arms charged with two white galloping horses. 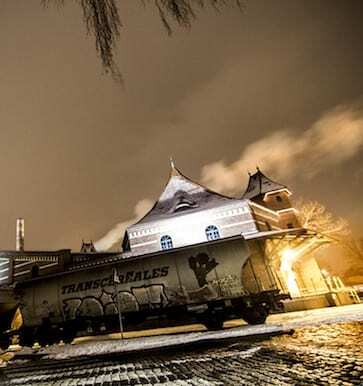 The Hugger Brothers’ Brewery becomes a joint-stock company, but its history dates back to 1876, when the owners, Julius and Alfons Hugger, insured an icehouse located on their parcel at the corner of Kościuszki and Półwiejska streets. Shortly after, the icehouse was turned into a storing and fermentation chamber. Several years later, it was expanded by adding a brew-house, a malt-house, and a drying room. Typically for industrial architecture of the time, the buildings were kept in the arcade style: red brick elevation, semicircular windows and simple details. Kept in extremely good condition, the brewery survived until World War I, and the list of its most popular specialities included Pilsen Kryształ, dark Munich Specjał and Porter. A Poznan-based entrepreneur, Dr Roman May, acquires the brewery’s shares with the intention of producing malt and exporting it to the US, but the idea ultimately ruins the company, which is already struggling with high prices of hops and high taxes. The brewery is leased by the Associated Brewery of the Company of Restaurant Owners, which has as many as 82 shareholders. All operations come to a standstill due to the outbreak of World War II. Production of beer takes place under the supervision of German occupation authorities, and they decide to set up bunkers underneath the brewery at the end of 1944. In February, during the battle of Poznań, the brewery gets significantly damaged, but production is resumed only a few months later, reaching capacity of 10,000 hl of beer by the end of 1945. At that time, it still belonged to the Company of Restaurant Owners, but in 1946 underwent nationalization and was taken over by the Central Management for the Polish Fermentation Industry in Bydgoszcz. Organizational and ownership changes led to creation of Poznańskie Zakłady Piwowarsko-Słodownicze, a quite sizeable company as for People’s Poland. It encompassed: the old brewery at Półwiejska street, the Kobylepole brewery, the Lackowski brewery at Kościelna street as well as breweries in Ostrów, Krotoszyn, Bojanów, Grodzisk Wielkopolski, Czernków, Trzcianka, Mirosław, Śmigiel, Nowy Tomyśl, Wolsztyn, Września, Gniezno and Konin, plus malt-houses in Poznan and Stawiszyn. Thanks to the efforts and perseverance of Tadeusz Kaczorowski, the director of the breweries in Poznan, construction of another brewery in the district of Franowo begins. 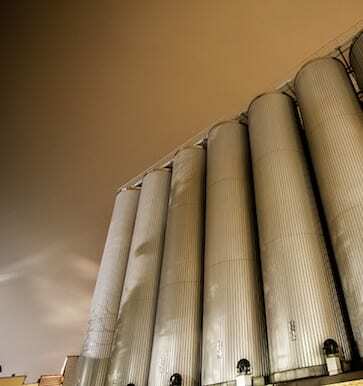 Its annual production capacity is expected to reach 1 million hl of beer, and the capacity of the malt-house is set at 50 thousand tons of malt. Construction of the new brewery begins, supervised by the chief designer Stefan Kwiatkowski from the Fermentation Industry Design Bureau in Warsaw, responsible for all the technical and economic documents. The brewing facilities are erected on a lot of 17 ha. The key argument behind the brewery’s location is its adjacency to the Poznań-Franowo junction station (with an industrial spur connected to the plant). Thanks to implementation of various previously unknown construction and technology solutions, the brewery is considered a technological and architectural masterpiece of the communist era. 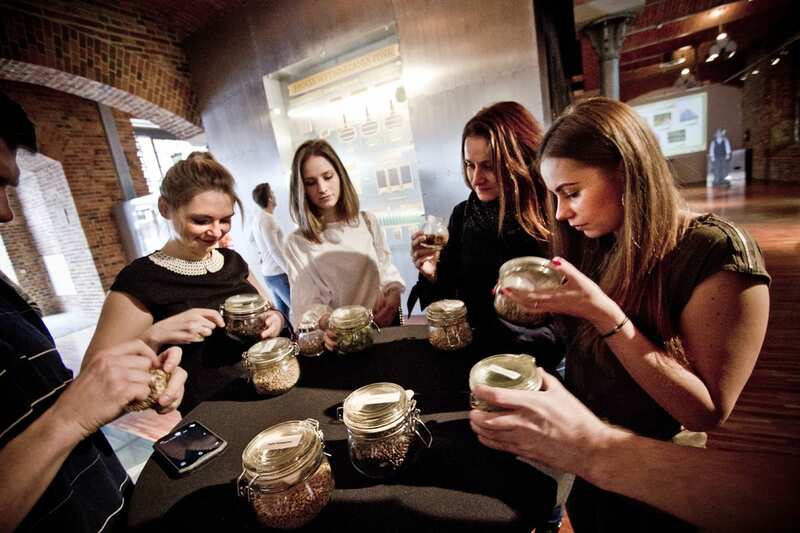 The new brewery in Poznan is officially opened on May 16, the day after a ceremonial “mashing of the first brew”. 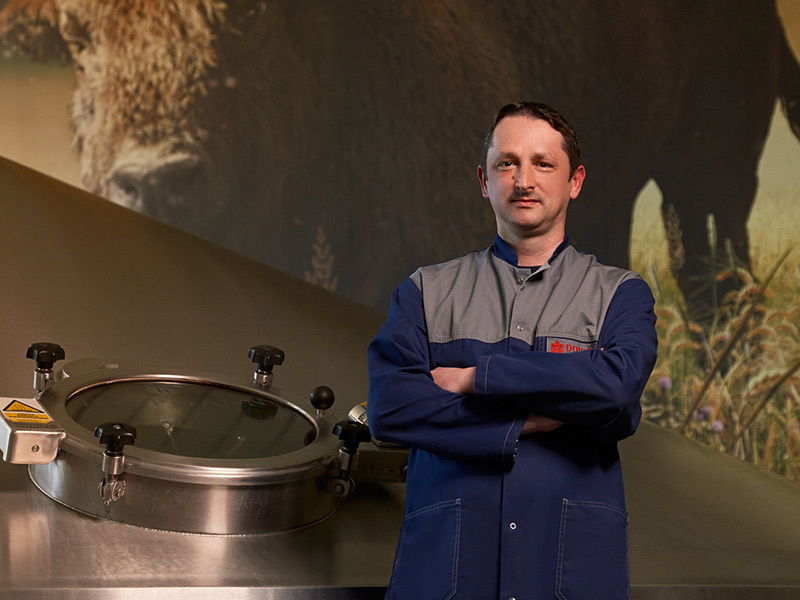 The production start-up went smoothly thanks to chief technologist Zdzisław Zając and main brewer Andrzej Piotrowski. The Hugger Brewery closed its doors in June, with annual production capacity at the level of 130 thousand hl of beer but without any perspectives for further development. The first batches of beer are bottled in the new brewery on June 23 and become available for sale the next day. At that time, the brewery’s offer includes light and dark beers, malt beverage called Czarna Perła, and Poznań Beer intended for international markets (mainly Sweden). 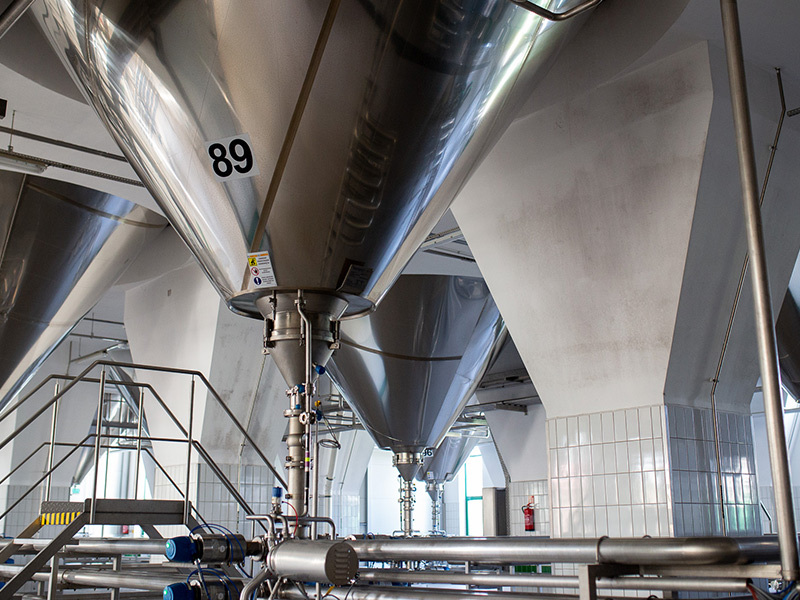 The facility becomes the vanguard of brewing technology in Poland and serves as a vocational training centre for the employees of other plants. During the first decade of its existence, the brewery in Poznan receives a number of distinctions at Polish national beer competitions: for its special dark beer (9%), for Czarna Perła, and for the prototype of current Lech Premium and Lech Pils – Lech (3rd place and bronze medal in 1986). 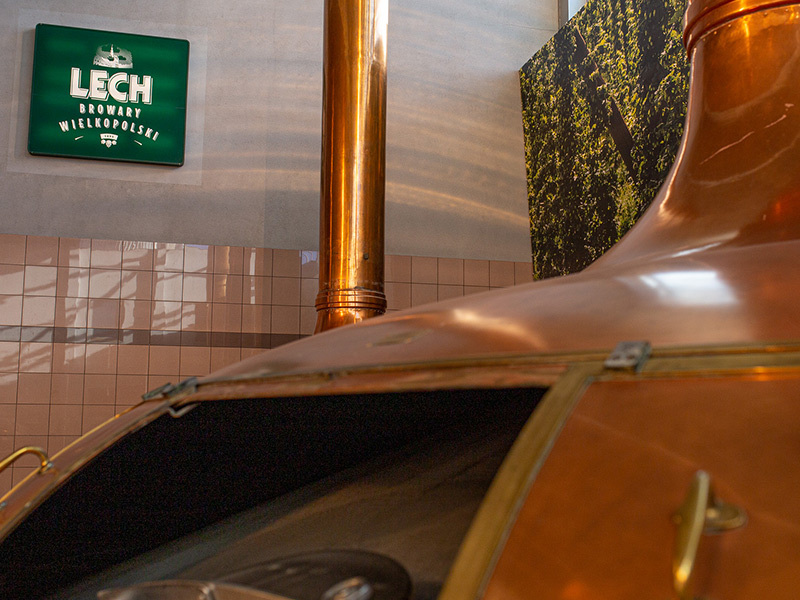 In October, the brewery managed to produce 9,660 hl of the new Lech beer, which would soon become an integral part of the brewery’s history. It was traditionally brewed Pilsen-type beer with distinctively hoppy aroma, refined bitterness and reach, long-lasting foam. The name was invented by the brewers who were running the facility at that time. 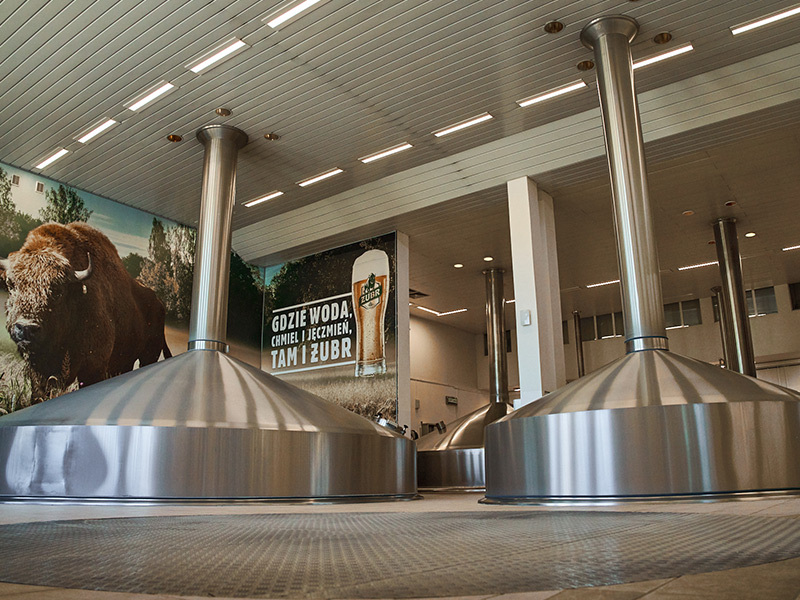 The biggest malt-house in Poland is launched. It is based upon French technology and its annual production capacity amounts to 50 thousand tons of malt. The process of commercialization begins. A sole shareholder company of the State Treasury is established under the name Lech Browary Wielkopolski SA. The new name reflects the brewery’s marketing strategy focused on consistently building an easily recognisable image for the company and its leading brand, Lech Premium. Lech Browary Wielkopolski SA runs an unprecedented advertising campaign, associating the Lech brand with the colour green, the symbol of purity, happiness and youth. Implementation of technological investments begins. The 10,5 beer is launched on the Polish market, accompanied by a wide advertising campaign under the slogan “Welcome to the club”. The beer quickly gains impressive popularity. Lech Browary Wielkopolski and Tyskie Browary Książęce join forces to create Kompania Piwowarska SA. The brewery receives the ISO 14001 environmental management certificate. 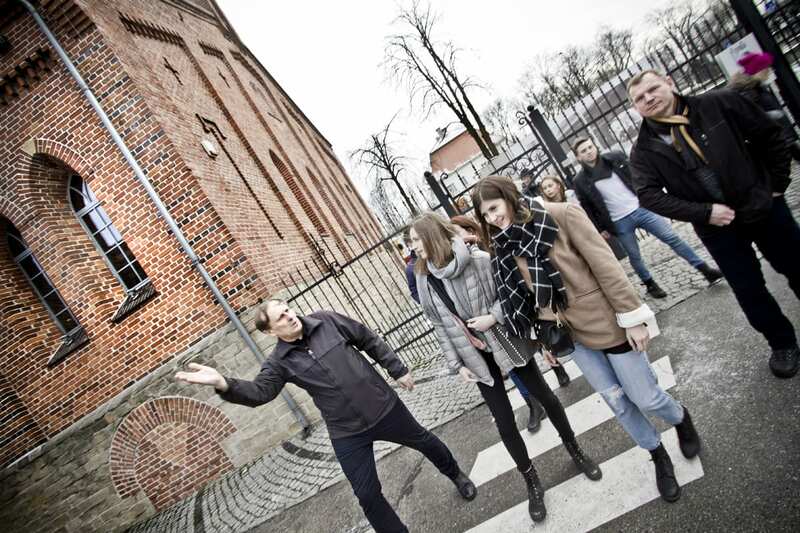 May marks the opening of Poland’s first beer trip centre “Świat Lecha”, located right next to the brewery. 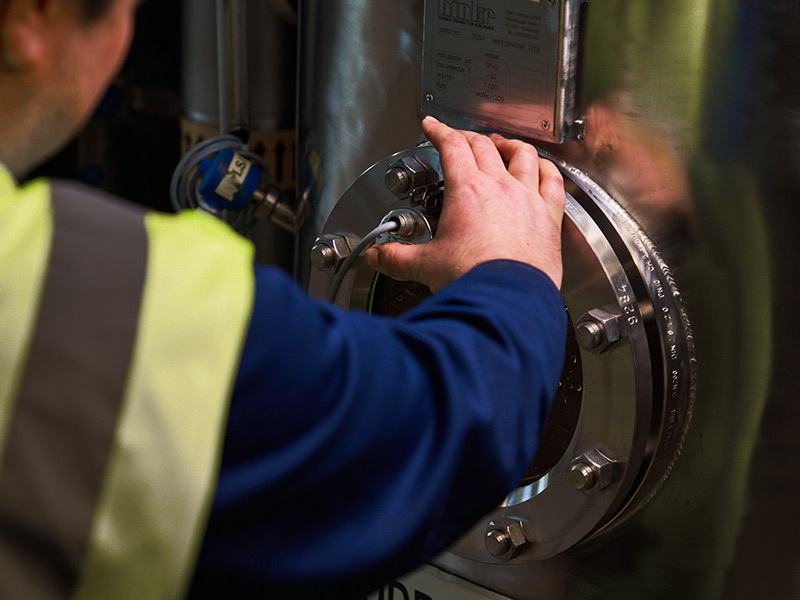 It allows everyone interested in brewing to take a tour around the brewery to witness how our beers are produced. Since then, all visitors have also been able to enjoy the company pub, where we continue to serve the favourite beer of the residents of Wielkopolska – Lech Pils! Information arising out of the Act – Environmental. Founded in 1768, the brewery in Bialystok has had a tumultuous history and undergone numerous ownership changes. The list of its family owners included the Branickis, the Radziwiłłs and the Lubomirskis. Yet in spite of this turmoil, the beer produced by the brewery in Bialystok has always enjoyed a great reputation among the fans of the golden beverage. The efforts and passion of local brewers gave life to the widely popular Żubr brand. No one remains indifferent to that beer. Dignified and majestic, the King of the Forest always commands respect among other species. When chaos creeps into his kingdom, he reminds everyone about the power of calmness. The name Dojlidy derives from the tribe of Balts settled in the north-east region of Poland centuries ago. The history of the brewery dates back to the 18th century. As the archives and inventory written after Jan Klemens Branicki’s death suggest, in 1768 a large brewery was built in the Dojlidy manor owned by the Barnicki family. This year is considered the date of establishment of the Dojlidy brewery. By the end of the 19th century, the manor becomes the property of the Rüdiger family. On their initiative, the main building is replaced with a classic style palace. In 1891, a steam brewery is built nearby the palace and it begins to generate significant profits. The Dojlidy estate and the brewery survive the outbreak of World War I with only minor damages, but in 1915 Russians take away all the equipment. The Dojlidy estate is acquired by prince Jerzy Rafał Lubomirski and becomes the largest production plant in Eastern Poland. 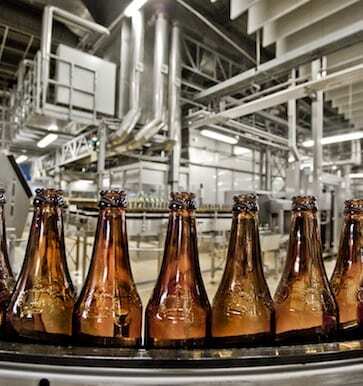 During the interwar period, its production capacity exceeded 75,000 hl of beer and it had about 150 employees. The Dojlidy beer is being sold in 40 locations across the Eastern Borderlands of Poland and even in Warsaw. By the end of the 1920s, the brewery strengthens its position on the national economic scene as the seventh most productive brewery in the country. It remains under the management of the Lubomirski family until 1939. During WWII, production of beer at the Dojlidy brewery is taken over by Germans, who partially destroy the facilities in 1944. On February 12, the Dojlidy brewery is taken over by the state. The brewery resumes production after the war and becomes a part of the Brewing and Malting Industries in Bialystok. The brewery becomes a part of Zakłady Piwowarskie, the owner of breweries in Suwałki and Łomża. The city of Bialystok was growing rapidly over the years. After the strikes at the beginning of 1981, food products, including beer, were quickly disappearing from store shelves. Solidarność demanded power. The night of December 12-13 marked the beginning of mass arrests and the authorities declared martial law over the country. 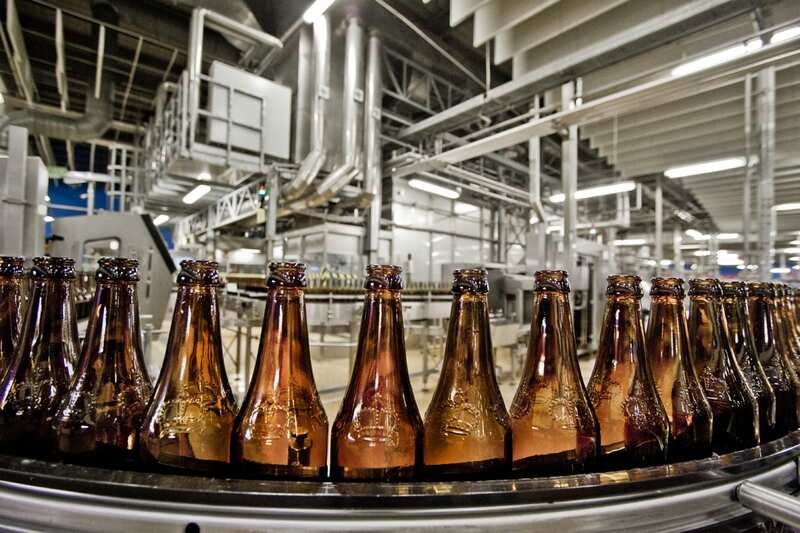 The brewery begins production of Pepsi Cola and takes a top spot in the Vienna ranking evaluating quality of the beverage. On April 30, Zakłady Piwowarskie win a gold medal for their dark strong beer Porter Dojlidy and another gold for the light strong Magnat Dojlidy at the 6th Polish Beer Festival in Łódź. One year later, Dojlidy Złote and Dojlidy Magnat receive the Beer of the Year 1993 title from the Beer Club organized in the “Pod Jaszczurami” club in Krakow. In December, the German brewing concern Binding Breuerei from Frankfurt becomes the majority shareholder of the brewery in Białystok. On March 3, the name Zakłady Piwowarskie is changed to Dojlidy Brewery. 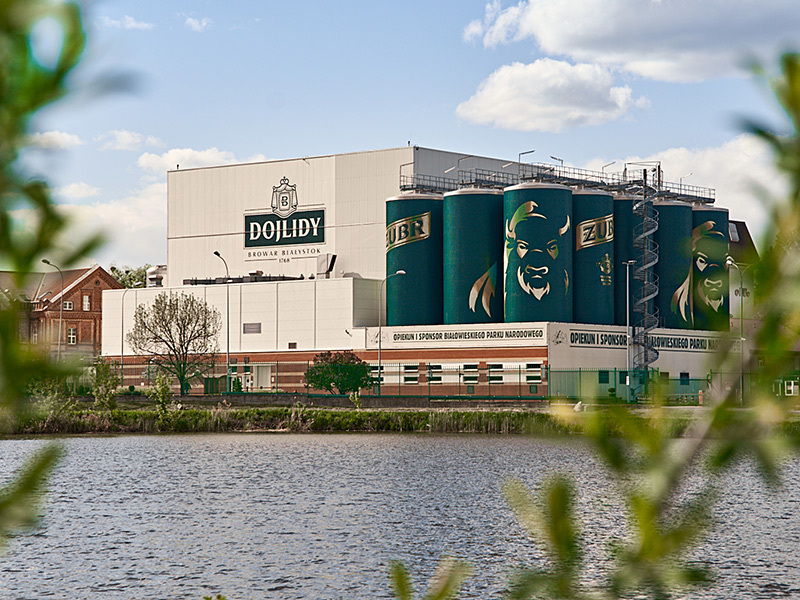 Between 1997 and 1999 the Dojlidy Brewery undergoes major modernisation and launches a new brewhouse, beer filtration station, bottling lines – for cans, bottles and kegs, laboratories, and a warehouse for finished goods. On February 4, Kompania Piwowarska acquires a majority interest in the Dojlidy Brewery.